Palm Springs, Calif., is an undeniably popular vacation destination in the summer months, but the fall and winter seasons are equally as amazing times to visit. The winter months offer more affordable, yet still luxurious, Palm Springs vacation rentals as well as an abundance of outdoor activities that are more enjoyable in the cooler winter temperatures. Although this area was once solely a hideout for the big names in Hollywood, it has now become an oasis for every type of traveler -- from outdoor adventurers to those looking for the ultimate place to relax beneath towering palm trees. For anyone who is contemplating visiting this area, these are just a few of the reasons to visit in the upcoming fall and winter months. Anyone who lives in a colder climate knows the outdoor activities tend to shut down in the fall months. However, Palm Springs offers a wide range of enjoyable outdoor activities throughout the entire year. The good news is that they’re not as crowded during the fall and winter months. Golf season is year-round in this area, so make sure to hit the links. However, Lake Cahuilla is a favorite destination for almost any outdoor activity too. Sign up for horseback riding, fishing, or hike around the lake. Chances are, you won’t even notice that it’s winter, as Palm Springs enjoys comfortable temperatures year-round. A special highlight to be enjoyed is the carriage celebrity home tour. Offered with Big Horse Carriage Company, this ride takes people on an interesting and fun tour of homes owned by Hollywood celebrities and other notable people from around the world. Enjoy seeing how the stars live from the comfort of a horse-drawn carriage. Nothing says vacation like shopping and why not take in some local shopping while in Palm Springs? Of course, there are the abundance of luxury shopping experiences, but the open air markets are the best spots to enjoy on comfortable fall and winter days. The Street Fair at College of the Desert in Palm Desert is open in the winter months and is much less crowded than in summer. Browse through local handcrafted items like pottery, skincare items, and much more. Another fun market to visit is VillageFest, which takes place in downtown Palm Springs. They have extended hours during the winter months and Palm Canyon Drive closes down for cars. Spend an evening here enjoying local shopping, music, food, art, and more. It’s even dog-friendly, so it’s perfect to bring the family pet. 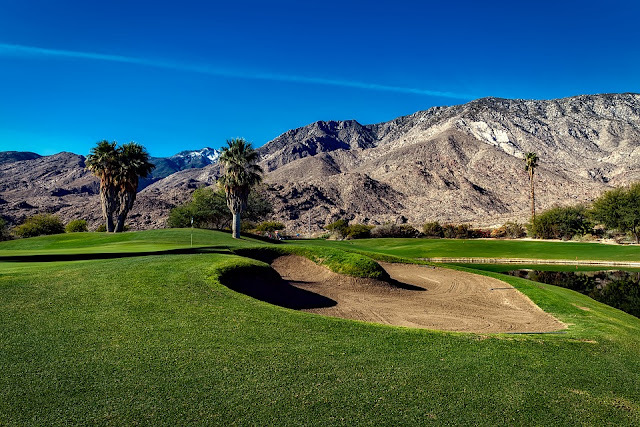 Most people prefer summer sun to a winter chill, but winters are mild in Palm Springs, and there are many activities available for everyone to enjoy. In Palm Springs, you get the best of both worlds. Also, this area tends to put their own special twist on winter-time activities. The Renova Ice Rink is one of the most fun places to visit in the area. The rink is built directly on top of a river that runs through the area, creating a unique, scenic, and fun activity for visitors of all ages. If you’re in Palm Springs near the holidays, make sure to check out the Robo Lights Sculpture Garden. It’s a sight to be seen throughout the year, but during the winter, it becomes its own destination. Created by Kenny Irwin Jr., the holiday display, known as “Robo Lights,” is a locally famous attraction that draws visitors from across California and even around the country. This magic wonderland combines sculpture, science fiction, art, and holiday traditions to become the most amazing light display in the region. 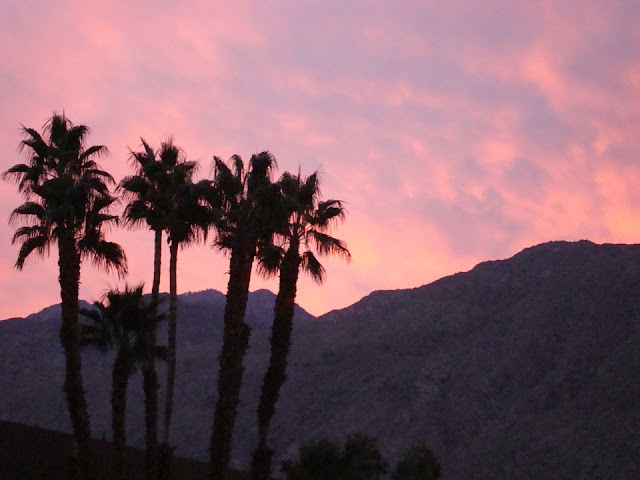 Palm Springs is located in a valley and shadowed by the picture-perfect San Jacinto Mountains. A trip here would be incomplete without visiting the second highest mountain range in California. While you can enjoy them from the valley, taking the Aerial Tramway to the top is the preferred method to take in views of Palm Springs and the surrounding beauty from above. The weather is always a bit chillier at the top of the mountain, so it’s an ideal place to hike, snowshoe, or even cross-country ski. If you’re not feeling sporty, take in the view on the observation deck and then enjoy a hot meal before heading back down to town. When most people think about Coachella, the world-famous music festival is typically what comes to mind. However, the Coachella Valley Preserve area is great to visit in the more temperate fall and winter months. More than just sand and brush, it’s a place to take advantage of more than 25 miles of hiking paths. While hiking, you’ll come across rare wildlife, desert wetlands, and lush palm woodland oases. While the preserve is open throughout the year, it’s much more enjoyable for exploring in the winter months with cooler weather. If you can, join a guided hike to experience everything that the area has to offer with a knowledgeable local guide. It’s no secret that Palm Springs is a popular vacation destination during the spring and summer months, but it’s surprisingly fun to experience during the fall and winter months too. These are just a few of the many reasons to plan a trip to the area in the upcoming travel season. From a more temperate climate to fewer crowds, this is a perfect destination for families and individuals who want to enjoy an exciting vacation without the hefty tourist crowds. The allure and adventure of Palm Springs awaits!